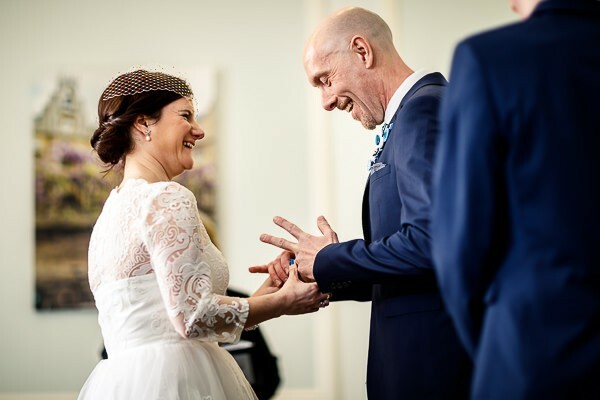 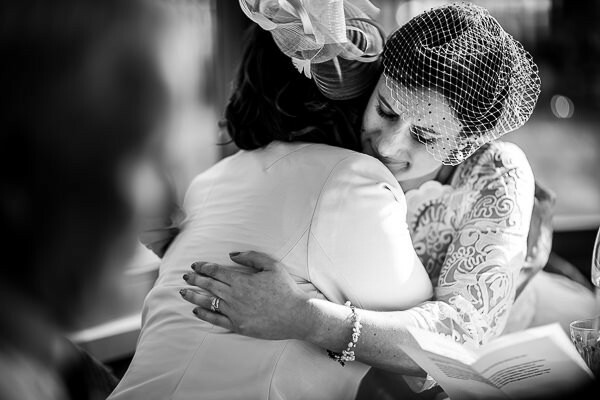 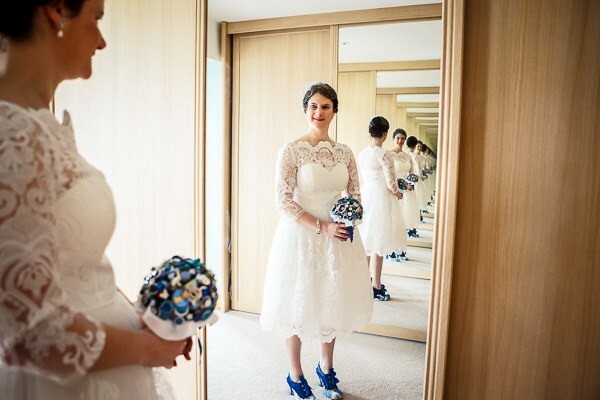 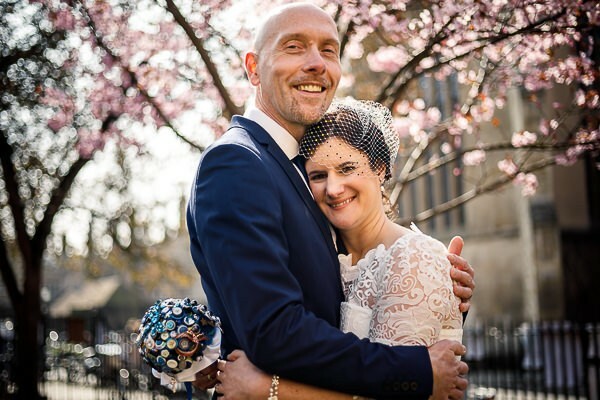 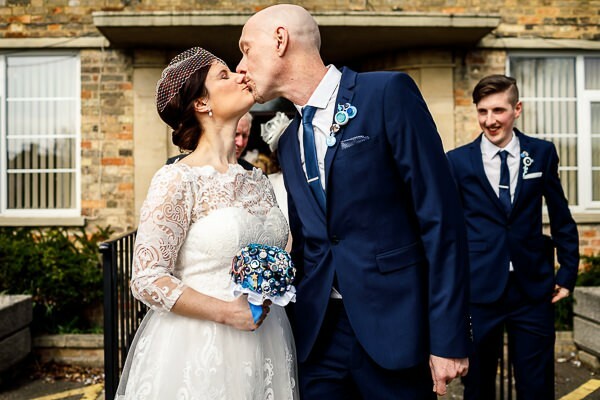 Katy and Garry’s beautiful love story tells a tale of sorrow to complete happiness from their first meet to walking down the aisle to get hitched. 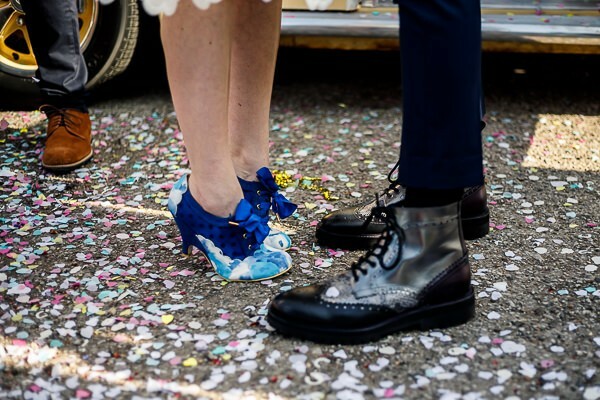 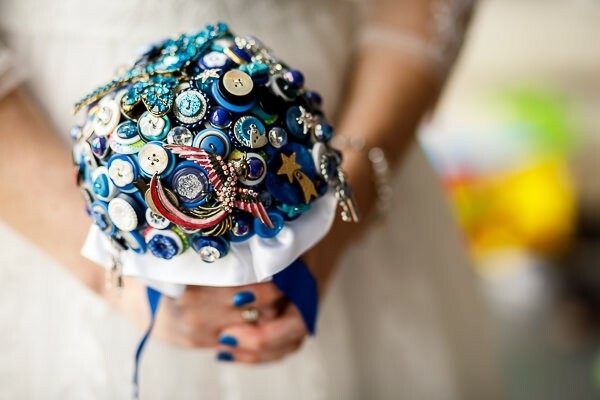 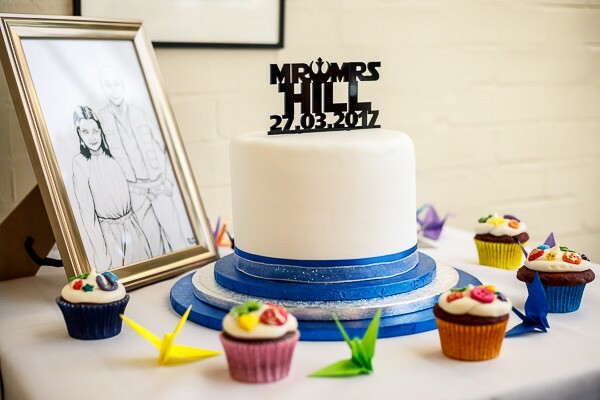 Their wedding, full of colour, personality and uniqueness is the perfect mix of ‘nerd’ vs ‘geek chic’. 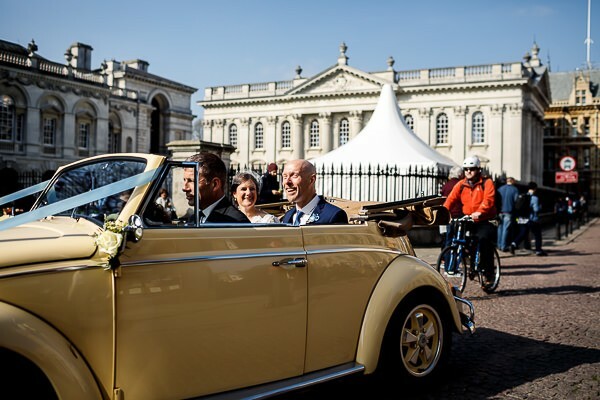 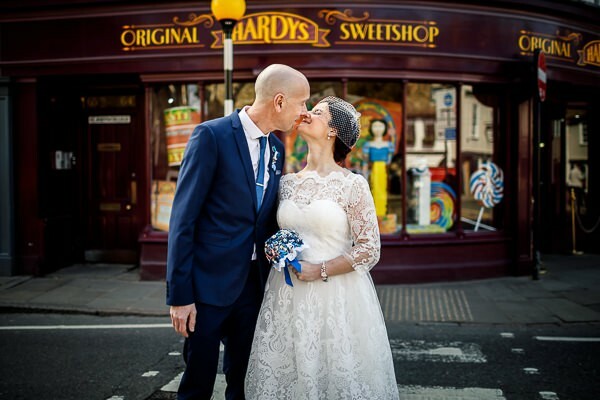 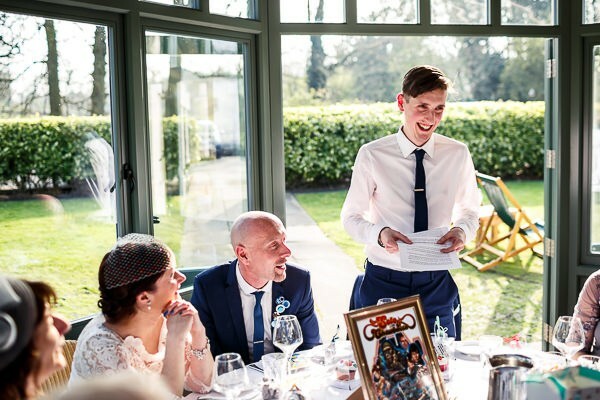 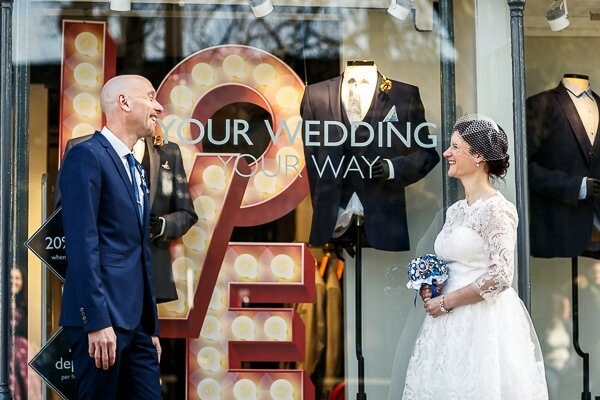 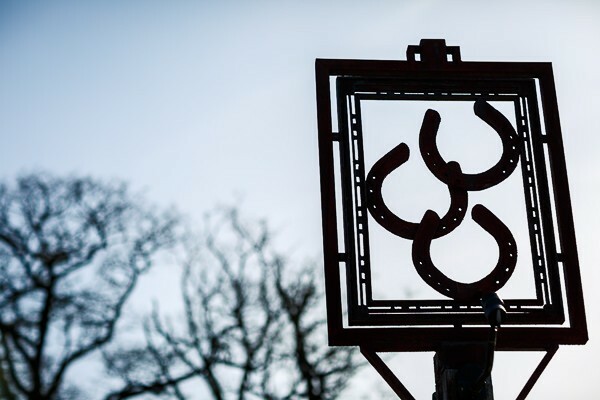 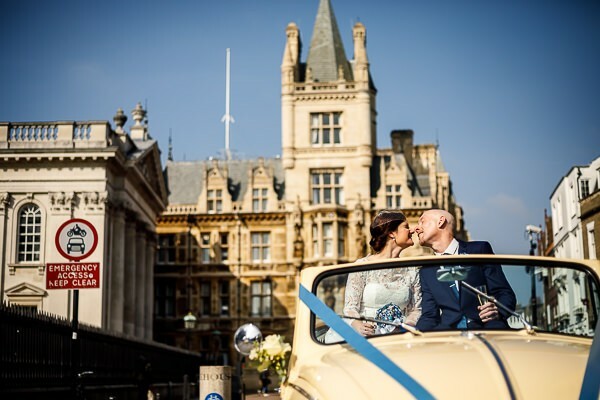 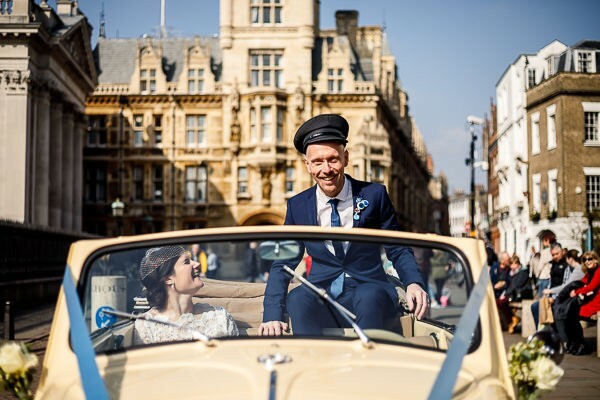 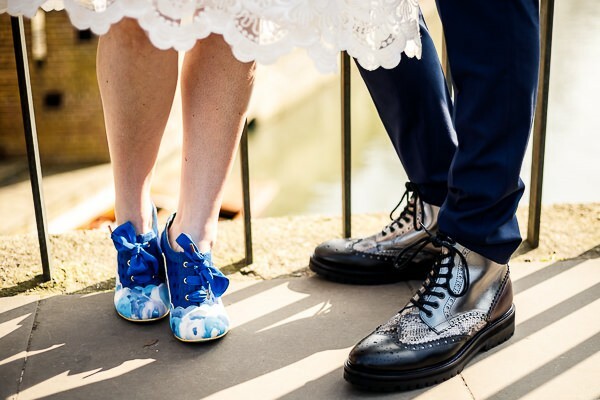 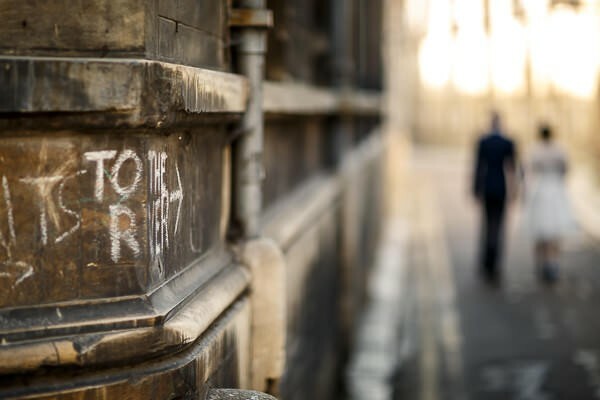 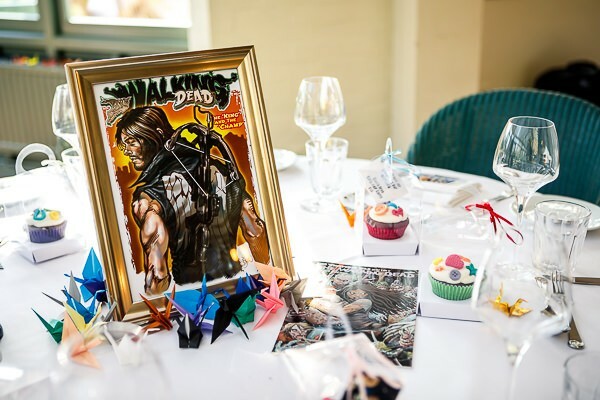 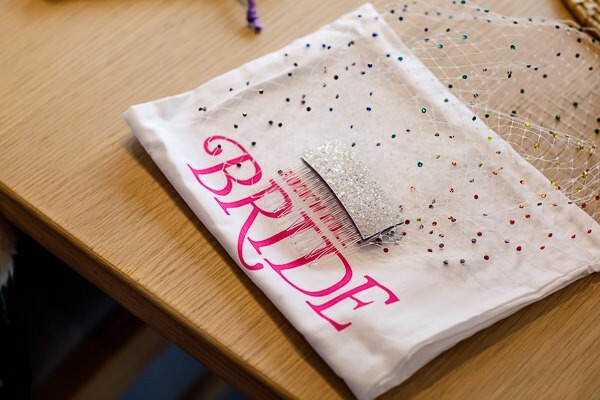 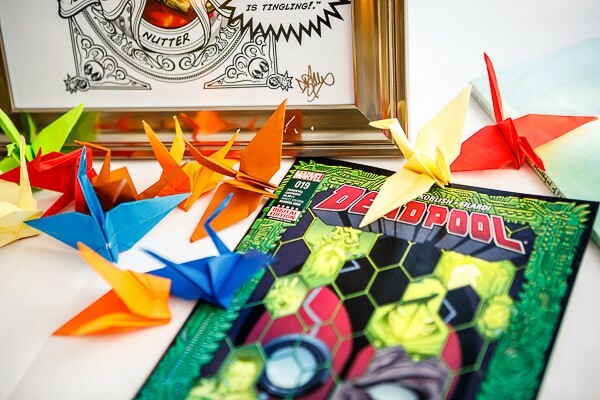 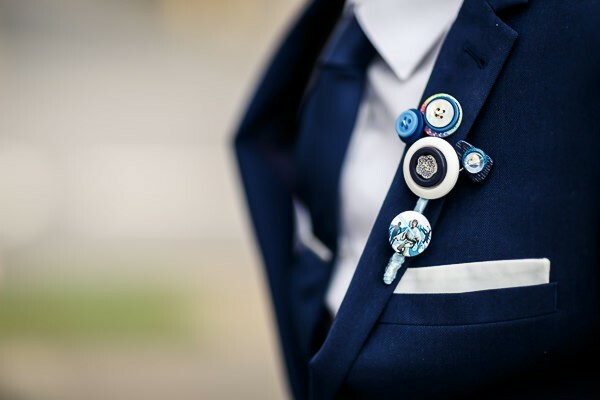 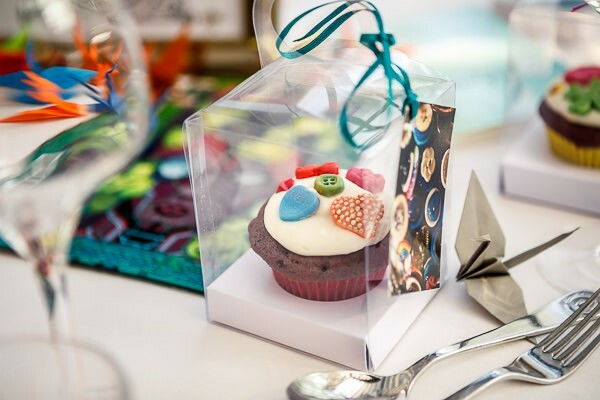 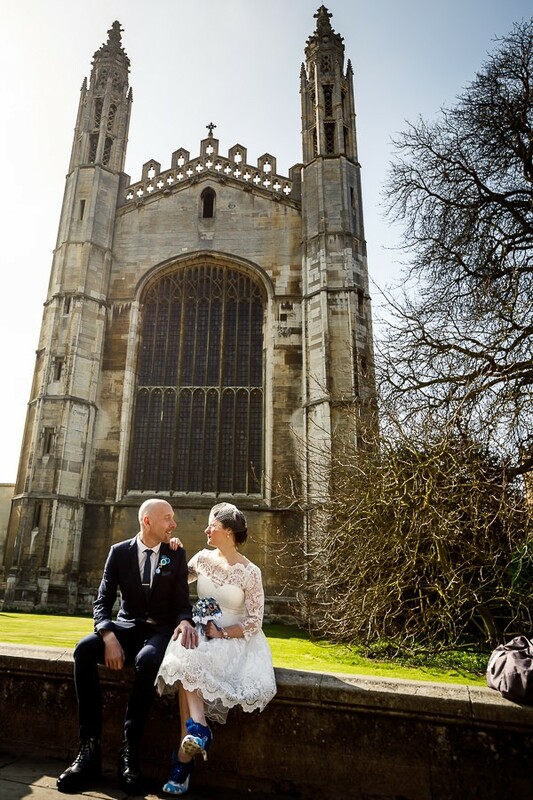 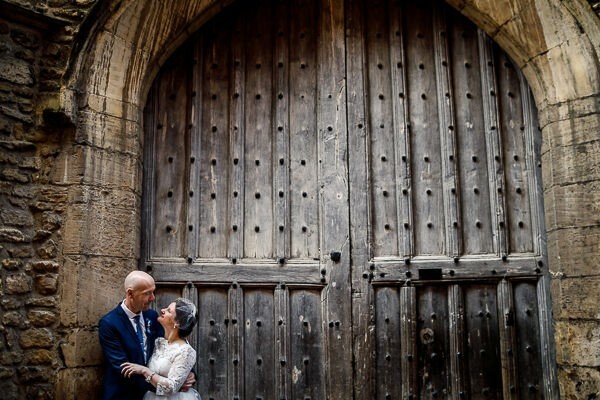 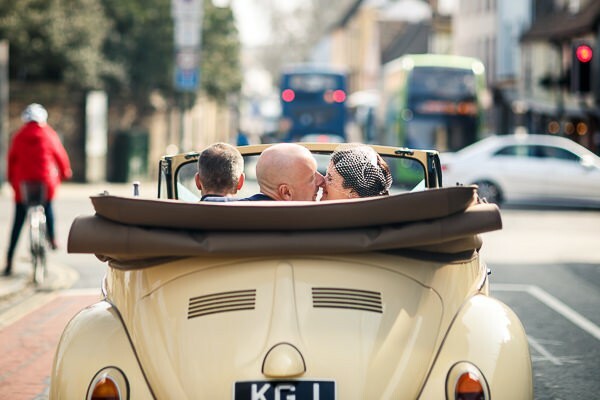 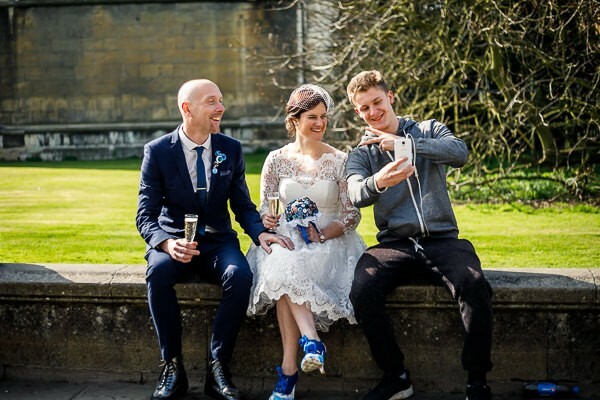 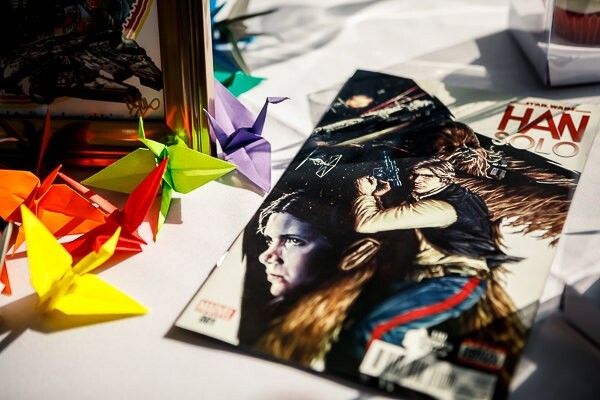 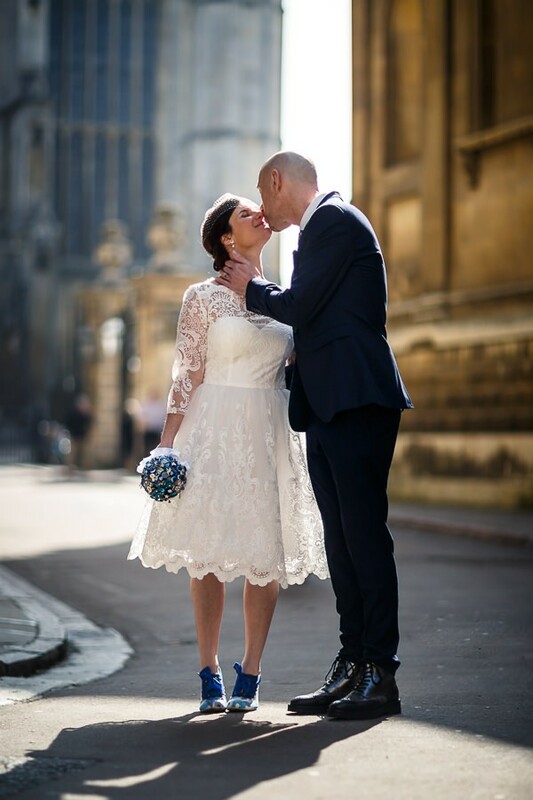 Married in the picturesque city of Cambridge they took full advantage, which ended in a wonderful set of imagery to inspire any city chic bride and groom wanting a geek chic wedding. 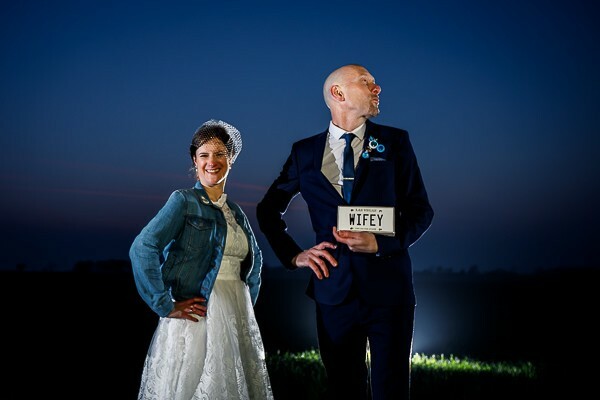 They set the perfect example of doing your wedding your way! 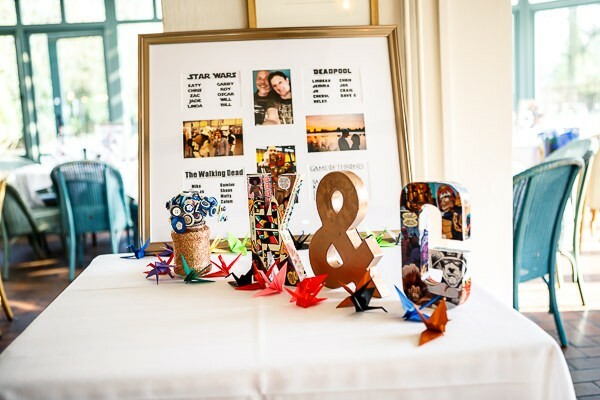 How did you and Garry meet? 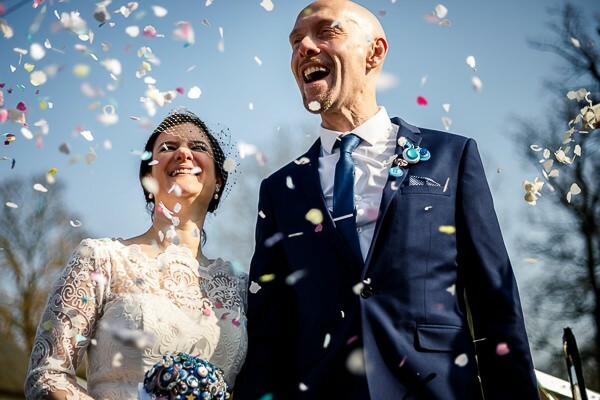 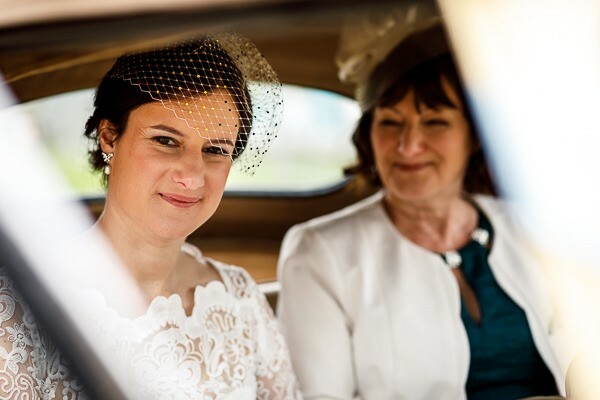 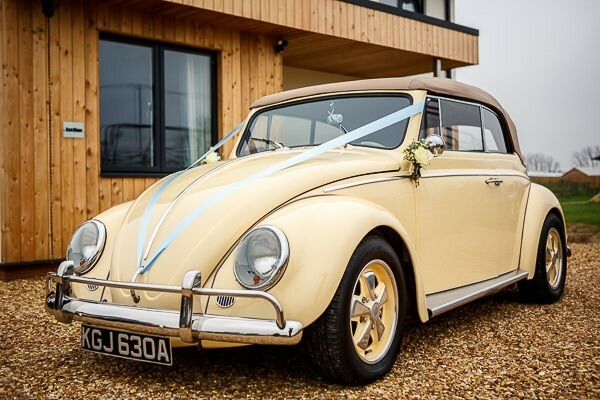 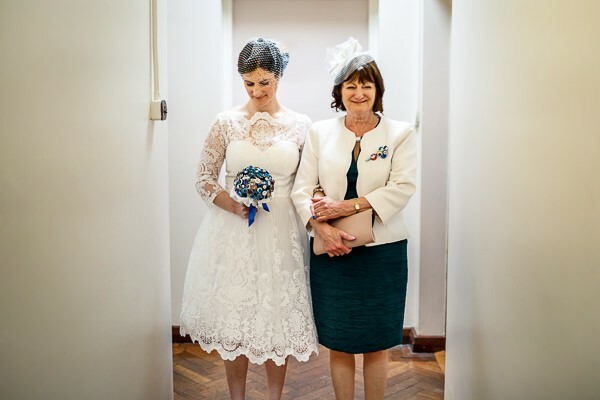 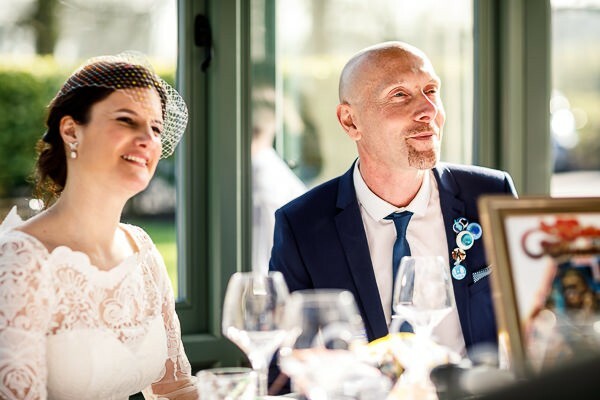 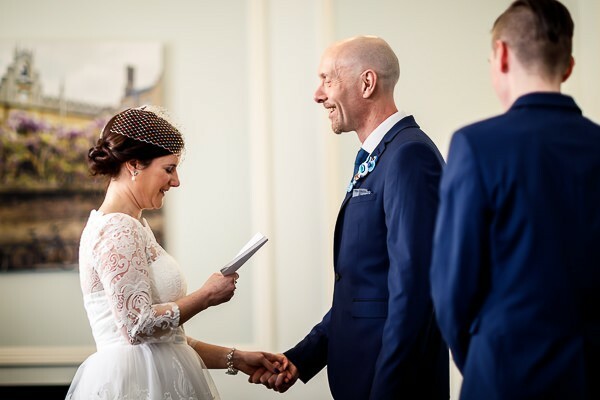 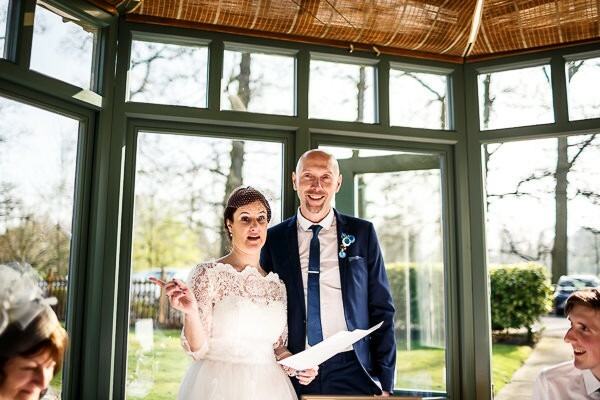 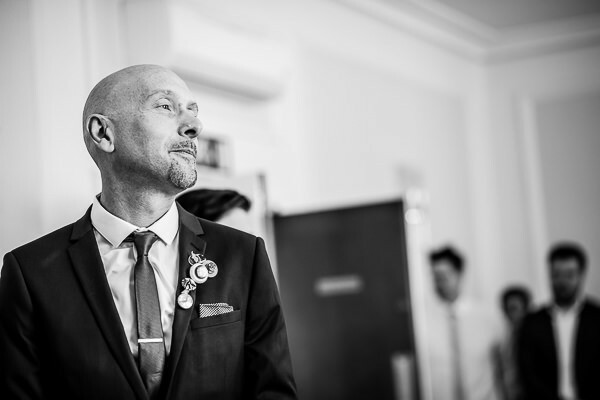 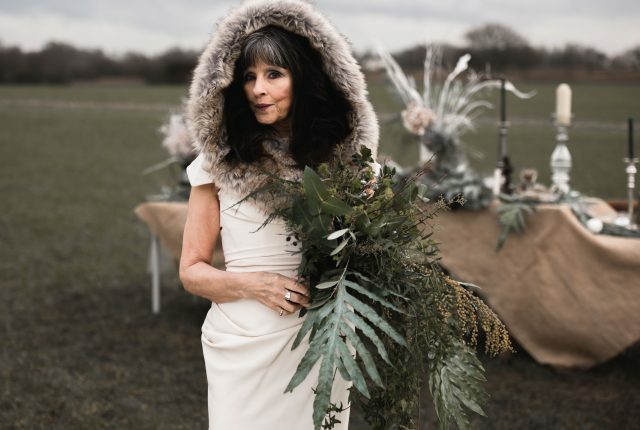 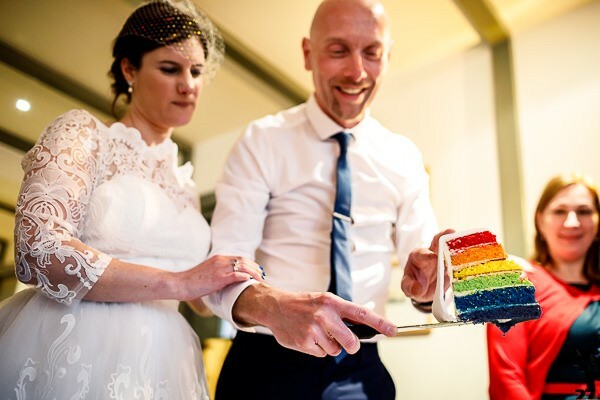 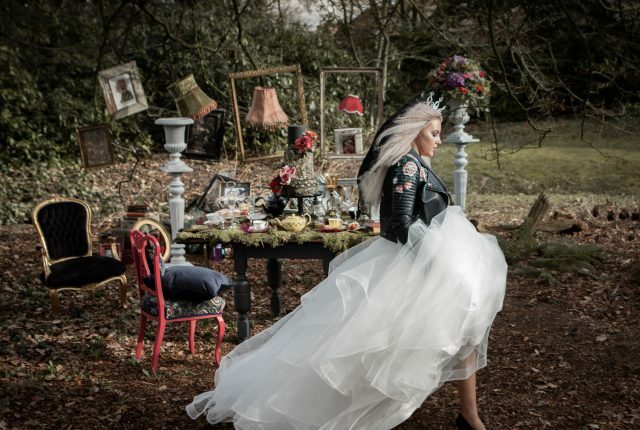 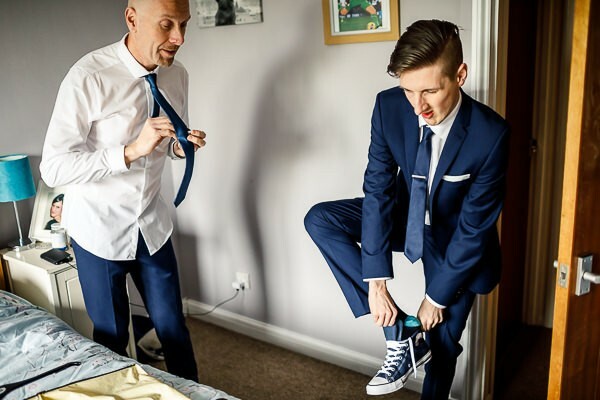 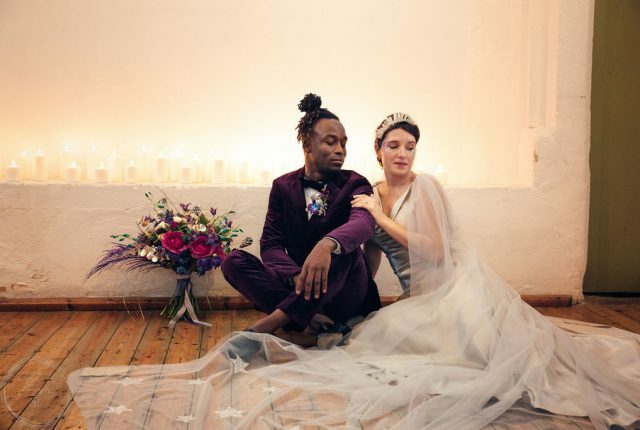 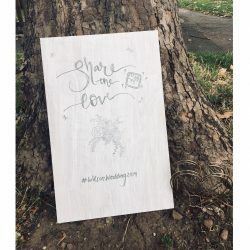 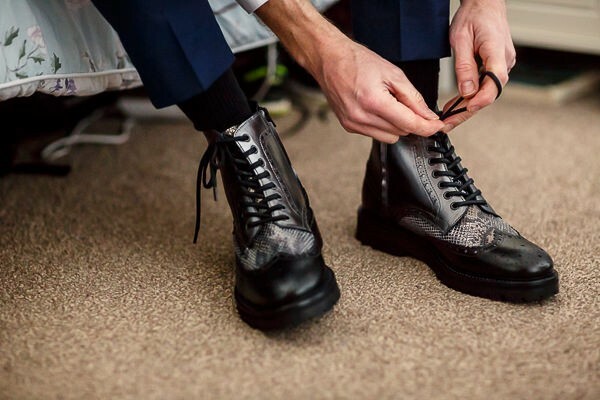 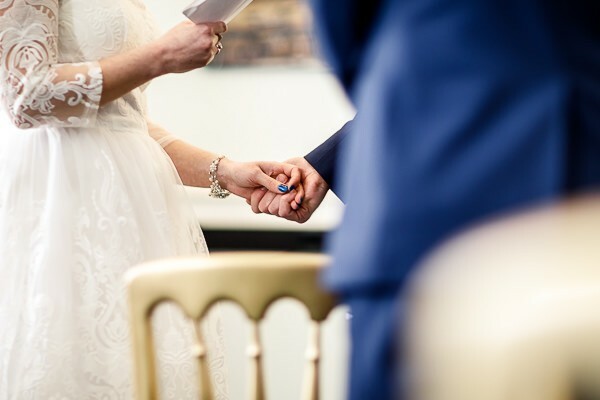 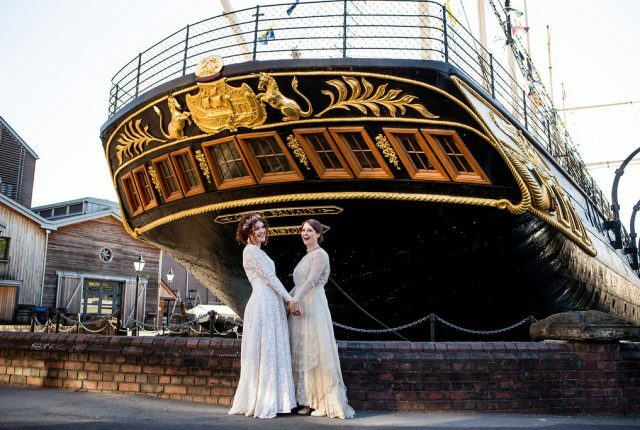 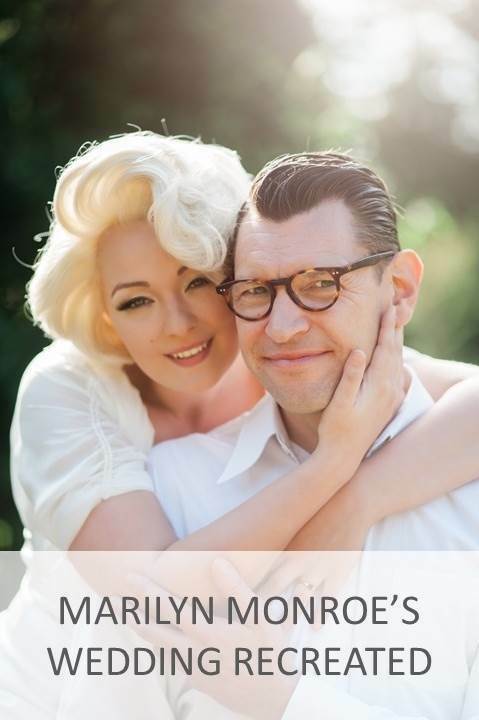 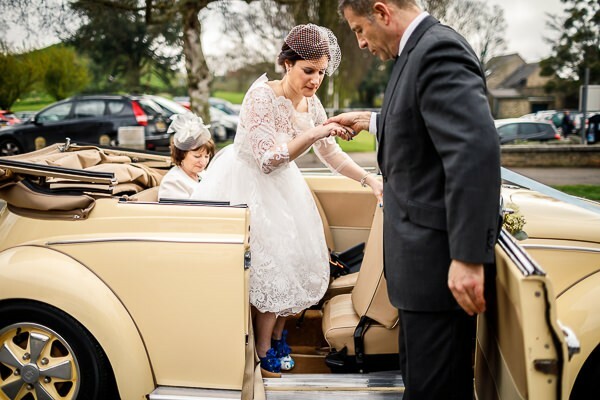 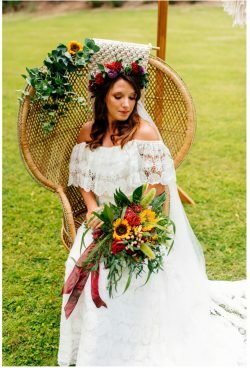 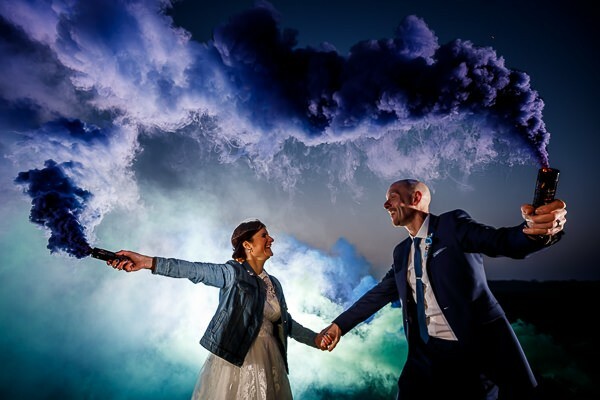 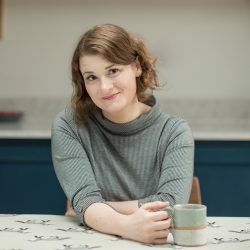 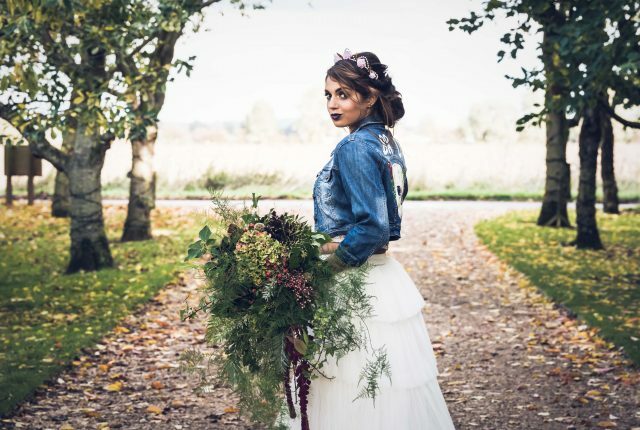 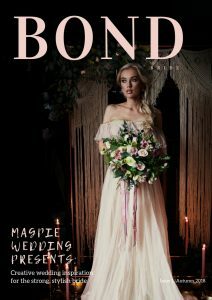 “We’re both quite alternative and were keen to do things a bit differently, and as we had both been married before we didn’t want to recreate any aspect of our previous weddings. 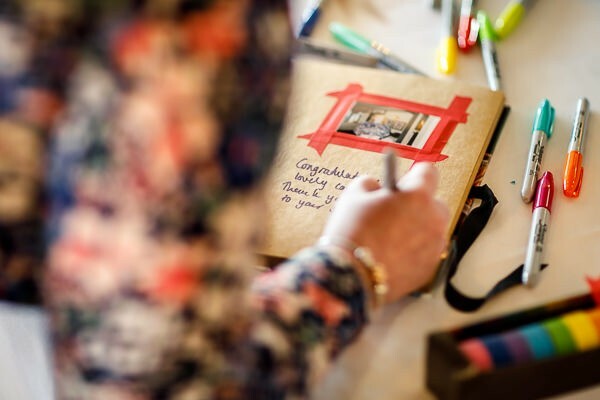 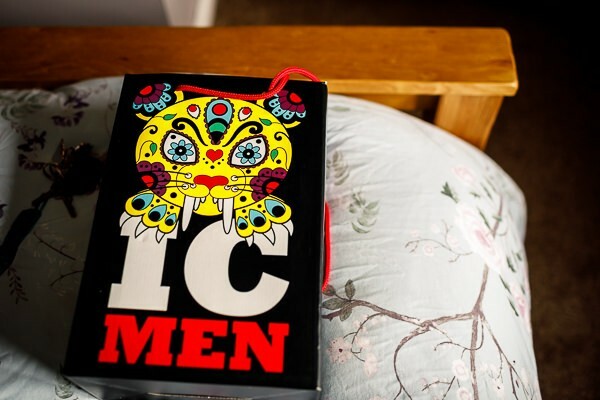 As we were also on a tight budget we wanted to prioritise things we would could keep afterwards. 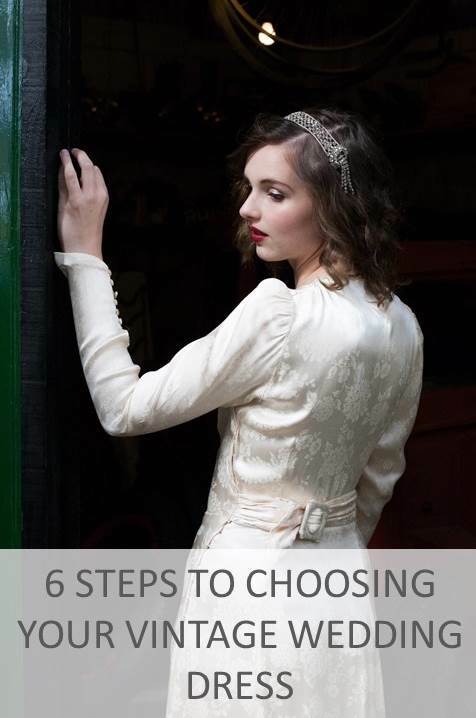 “Whatever you do, choose the best photographer you can afford. 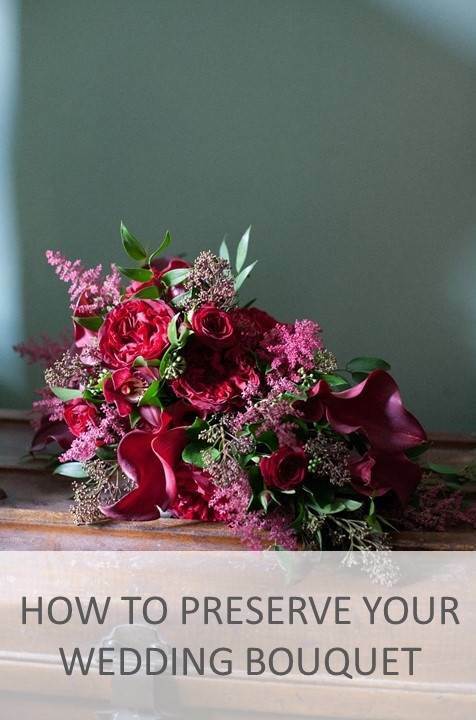 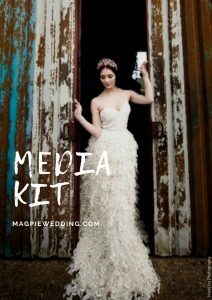 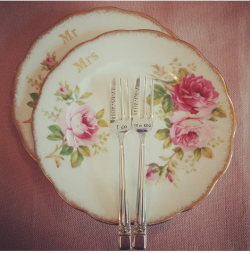 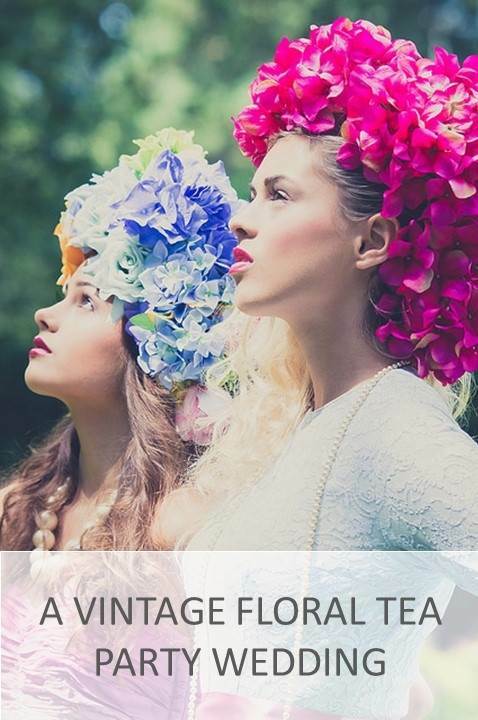 They can make your wedding look a million dollars, even if you are on a tiny budget like us. 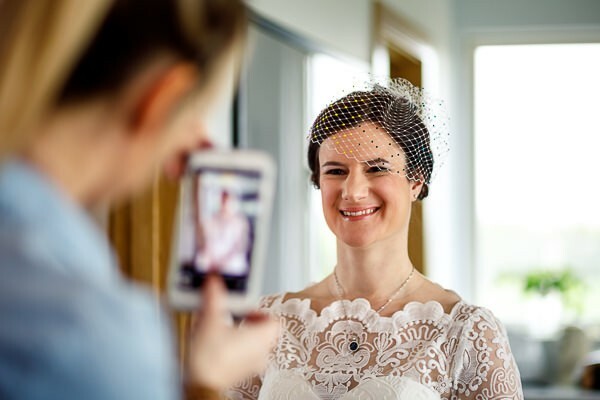 Poor photography will always show, and after your wedding is over, the photographs are your memories of the day.